Posted on February 18, 2013 . 30 Comments. The first challenge is carrying twenty 100-pound beer kegs to the pub’s second floor as fast as possible. “That’s a real feat of endurance, if ever there was one,” exclaims Hatfield. Huffing and puffing and not particularly happy, the bodybuilder still wins hands down. Dr. Squat’s “apples and oranges” comment refers to endurance specificity. Indeed, there are many types of endurance—and dozens of mechanisms responsible for expressing it: from will power to a max VO2 uptake. If you are serious about your sport, at the point when you are almost a contender you will need to work with your coach on developing your special or sport-specific endurance. Otherwise, a reliable general endurance program, like 100-200 heavy swings a few times a week, is all you need. 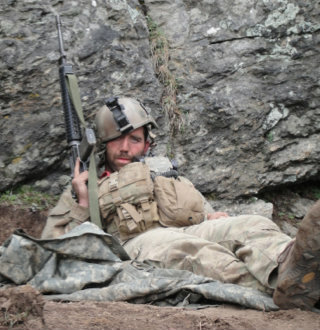 “And suddenly the Hindu Kush was easy.”—Michael Yilek, U.S. Army scout sniper, shortly after starting hard style kettlebell training. Note that developing special endurance is the job of your sport coach, team leader, or sensei. Mine is to show you how to build a foundation of general endurance for that specialized work. There are many ways to develop general endurance. In my experience, kettlebell quick lifts are second to none and the most efficient. 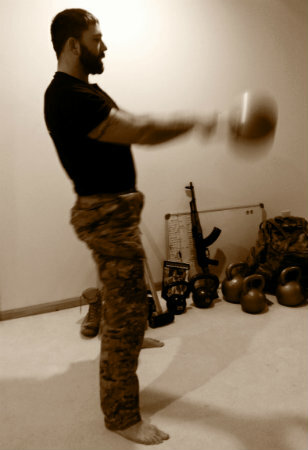 When Russians talk about “general” development, they imply a wide carryover to a great many applications: “…the ability… to perform any physical work more or less successfully.” (Ozolin) Time and time again, kettlebell ballistics have shown to improve one’s stamina in a great variety of contexts, from running a marathon to fighting full contact to surviving a twelve-hour long powerlifting meet. Hard style kettlebell training is highly foolproof. Americans are notoriously poor at following instructions. And yet the Russian kettlebell delivers without fail. Like an AK-47, it tolerates any abuse and keeps doing its job. Over the years, I received thousands of testimonials concerning the kettlebell’s “what the hell effect” on various types of endurance. The routines these folks did were all over the board: some followed programs written by me or my colleagues, others “improved” them, most cooked up some weird plans of their own that made very little sense to me. They ranged from beginners to elite athletes from a variety of sports. All of them improved, most of them—dramatically. Bud, have you still been combining your hellacious routine of swings with your power lifting background? Or have you switched more to one discipline or another? 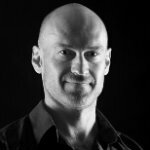 Great article, Rippetoe recently wrote a good article about “conditioning” versus developing strength. Entitled “Conditioning is a Sham”. I am confused on when the use of general endurance exercises is appropriate. If one is preparing for a physical fitness test (running, pushups, .. etc), is this specialized endurance training? Should I include swings on top of running practice, or does running preclude general endurance training? If strength training is included and swings are warranted, is there a problem with doing them in the same workout? Listen to Pavel now & believe him later. 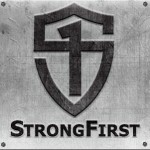 I simply can not speak highly enough of the swing at taught by Pavel & the Great Instructors at StrongFirst. Simple & Efficient. It enhances power, performance and endurance. Just the other day I joined my class for 12-minutes of swings with my 48kg and finished all prescribed reps powerfully and crisply. I could not have done that 5 years ago without the excellent instruction and methods of Pavel & co. Consistently knock out 200 swings as recommended 3 times a week and you’ll be amazed a few months down the road, then a few years later you won’t believe the difference. Thank you, John! What results have you seen from this swing routine? Thank you, Cole and Karlos! Kettlebells along with Paleo eating have changed my life. I thank you for enabling this. This information is out there but I eventually found the way. I’m forever grateful. More power to you. Keep swinging. Regards. Karlos, UK. Great Article! I have enjoyed your site very much. So my question would be this: How do you determine what is “heavy”? Would it be a percentage of body weight? or perhaps a percentage of max dead lift? Is there a kettlebell weight/strength standard? Brian, for men it would be 32-48kg—eventually. Thanks Pavel for your clear answer to my unclear question. Thanks Bud Jeffries for expanding my mind. Lol Pavel! I might be a training made alien…certainly wasn’t born with great endurance. The swing will give it to anyone willing to work! Thanks for your kind comments, ladies and gents! I might argue for a few more than 200…lol. I have, however, been known to be a little extreme. Excellent points about the breadth of conditioning tests. The kettlebell swing is without a doubt the finest conditioning exercise Ive ever come across. For a Sports person specially a fighter its unbeatable. 100-200 swings 2-3 times a week is what I have been doing a while now. It covers what I need. Like I said in another thread in the forum, I’m 1.85m and around 95kg and my rest heartrate is around 40bpm. When you say heavy , would that atleast be a 24kg for a male . Would the double kb swing work well as the single ? Awesome. So if following one of your time-efficient workouts such as Naked Warrior GTG (which I’m doing now) or Power To The People (which I plan to start soon), what would you recommend? Just taking 1 or 2 days and adding 100-200 swings? Heavy meaning 1/3 body-weight or so? Thanks! Kostya, 32-48kg 2-3 days a week. Love this article, thank you Pavel. In the recent POWER magazine Charles Poliquin says swings are a Chiros best friend… I say anything done wrong becomes a chiros best friend. I WISH I could get that team in my gym 2 x week for some swings and Kettlebell Basics, they are game changers! Site is GREAT, Pavel, thank you again! Speaking of chiros, we have quite a few at StrongFirst. Such as Dr. Mike Hartle, American BP record holder (USAPL) and doc and coach for IPF Team USA. The swing is this chiro’s best friend—he also plays semi-pro football with kids half his age. Yes, thank you, Pavel! Smart Doctors who understand strength and technique respect the swing! I am a collegiate hammer thrower and when I implemented swings into my training program to increase my work capacity I began having issues with my hips. I have horrible mobility in my right hip, but this problem never arose before. I chalked it up to the rest of my training being enough work on my hip that I shouldn’t do the extra swings. I have since then switched to Prowler sprints, but I still want to add swings into my training because of their positive benefits. How might I go about doing this while not hindering my performance by putting my hip out of commission? Zack, you first need to see a doc and then a corrective specialist like CK-FMS. It is a matter of health (do you feel like getting your hip replaced down the road?) and performance. For a thrower the right hip is where it happens. No swings until then. Power and health to you! This article is vital to trainees at any level. Many of my clients have been confused by unclear distinctions between muscular endurance, aerobic capacity and slow resistance training. Simple and effective. Very Powerful posting again, Chief! But my opinion based on my experience, is that the Americans are not the worse in matter of following instructions ! Can’t get simpler or more succinct than this. Simpler but not simple, I said. Thank you for sharing. Thanks chief. As always simplest explanations are the best. If only all the joggers out there understood this.